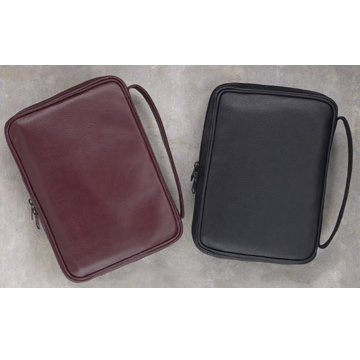 Genuine leather bible cover, fully lined with double zip closure. Extra pockets for notes and pens, with handle. Two sizes to fit common Bibles. (7800) 6 1/2" x 9"
(7900) 7" x 9 3/4"